I get disappointed to see small kids going to school. Kids of even 2 years are being forced to go to play-school which is actually a hell for them. Forcing small kids to play school doesn’t help in their growth in any way. They want to be with their parents, but they are forced to be in play school, where they are forced to compete with other children like them. They are evaluated, ranked and appreciated or criticized. They are moulded to become so called better human beings. It’s a mad race that is the most dangerous in my opinion. What do children need for their development? They are bundles of raw emotions and their thought process is yet to establish in proper shape. They need love, care, attention and affectionate touch for their growth. They need positive environment all around them so that their initial thought process may take a positive orientation. Children upto the age of seven are in the process of their cognitive development. Good parental care at this stage can build strong positive foundations and enable the child to develop a very positive perspective towards the world at large. There shouldn’t be anything negative around the child till this age. It is the responsibility of parents to give the best development opportunity to their children, but they cannot escape this responsibility by submitting their child to a play school. 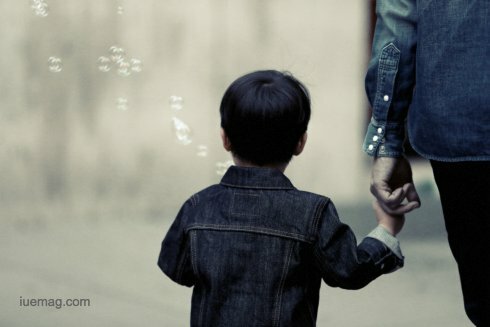 The affection and personal attention that parents can offer to a child is beyond comparison. This is the best tonic for growth of child during early phase. Age old practices in traditional Indian houses are such that a child is trained to touch feet of elders, who would touch the head of the child with affection and would give blessings in return. In a day a typical child would receive at least 40-50 such blessings from elders. These blessings would be statements like “may you make a lot of progress”, “may you become a great human being” etc. in the vernacular language. These blessings repeatedly touch the thought process of the child and ultimately acquire their position in the thought process of the child. Slowly these thoughts frame the fundamental thinking pattern of the child. Similarly the processing of touching the head of child by elders is a very helpful measure for growth of the child. A child needs at least 30-40 affectionate touch on its head to stimulate the brain processes and thinking. My friend Prof. Bharat Verma has two children one of seven years and one of five years. He hasn’t yet sent either to any school or play school. He and his wife devote themselves towards guiding the children. Rather than imposing any text books, they allow children to learn whatever they want to learn. They play with them, take them to explore the world and let them understand the world with joy. The children have not studied any text books to understand the life or wild life, but they have immersed into life to experience it. They didn’t see the lion in the pictures of text books, but saw it in front of them when they visited a forest. Interest based learning and coaching has helped in growth of the children. One of them has become an expert in python programming and the other one has become expert in classical Indian dancing. They have learn languages through interacting with people and have become experts in many languages. Let's encourage parents to enjoy their parenting by being with children. Lets give our next generations the golden opportunity of being with grand-parents and getting the blessings for a bright future. Lets give our next generations the opportunities of being the centre of attention for the entire family where love and care is guaranteed.